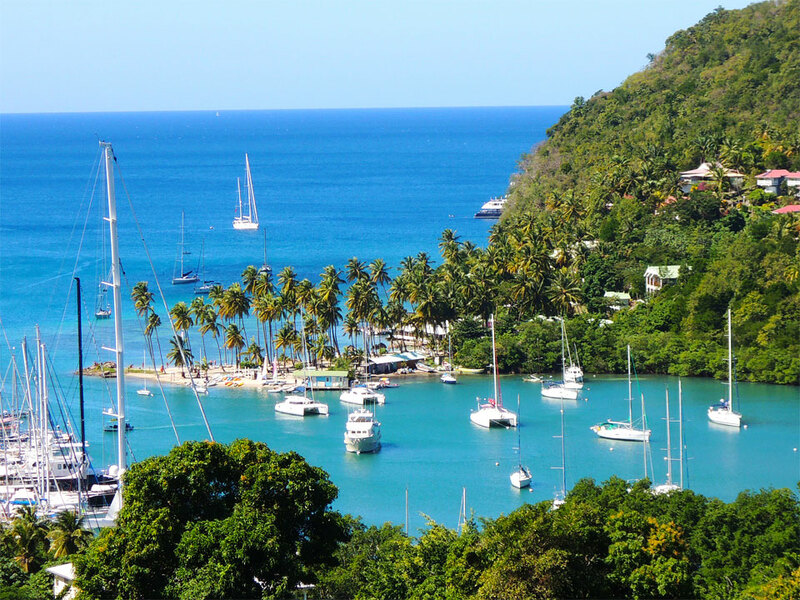 St Lucia, one of the many beautiful West Indian islands, is located in the eastern Caribbean. Like many of the islands in the region it is known for its many beaches, rainforest, nature trails, bananas and its famous mountains, the Pitons. Its capital; Castries is one of the most popular cruise ports of call in the Caribbean. One of the good things about St Lucia is the ease of accessing the island. There are two airports Hewanorra International Airport and George Charles Airport, and as many as twelve regional and international airline from a host of international and local destinations arriving daily. What can I do in St Lucia? St Lucia is a vibrant island and there are many things to keep you busy. Of course you must visit the beautiful beaches and take a tour of the islands. There are many tour companies offering packages, some of which include a taste of local treats and featuring mobile bars with rum punch because tourists just love those. Things to do in St Lucia include culture and nature tours, diving, visiting the Sulphur Springs, Pigeon Island, Island cruise and horseback riding. The Island tour is one of the many delightful highlights and usually take you around the island for most of the day, visiting pre arranged spots along the way. Depending on the tour company you chose you can also get a short lesson in Saint Lucian Creole French, called "Patwa" (Patois). About 95% of St Lucians speak it. English is the official language though. Is it expensive? What's the cost of things there? You can get a three-course dinner at a good restaurant for around US$80. You can get a steak for around US$40. A three-course lunch will cost you around US$40 as well. If you eat like the locals do, you will spend about US$15 for a meal. You can get a decent hotel room from around US$60-179 per night, more luxury will cost you anywhere from US$180 to as much as US$1050. The prices for car rental is pretty reasonable, with a compact car costing around US$78, while a midsize SUV will run you around US$80. Rum is plentiful on the island so you can have it to your heart's content at US$6. The local beer, the Piton will cost you about US$3, while cocktails will cost about US$10. And finally rum punch will cost you about US$8. Be careful with those, as you will find yourself talking loudly and laughing heartily for no reason at all. Remember prices will vary from place to place. It is always cheaper to drink where the locals do. What is the one place I must visit in St Lucia? 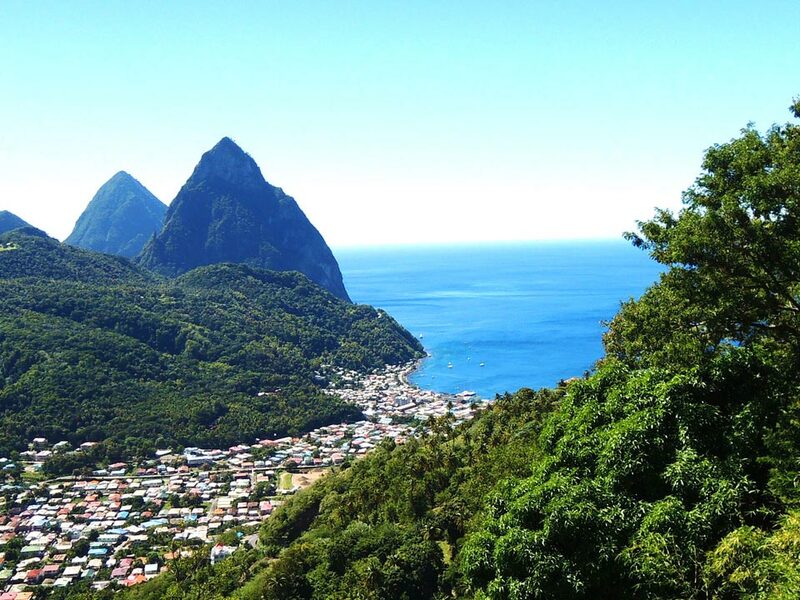 Once you land in St Lucia you will have to visit the Pitons Mountains. They are located in the World Heritage Site of The Pitons Management Area. The two volcanic spires stand side by side and is linked by the Piton Mitan ridge. They rise from the sea at 770m and 743m high. Well ... we think you should also visit Marigot Bay. The bay was used as the setting for many movies including Dr. Dolittle in 1967. What is the food scene like in St Lucia? One of the highlights of Caribbean food is the use of many exotic herbs and spices from the region, which gives it that vibrant, unique and wonderful flavors. In St Lucia the food is no different. Some of the local dishes you should try include Creole Fish, it is seasoned fish fried, then stewed. Another local favorite is One Pot, which is a stew with ground provision and meat. You can't leave St Lucia without trying Green fig (bananas) and Salt fish. It is boiled green bananas served with stewed salt fish. It is considered the national dish of St Lucia. Oh another item you should try in St Lucia is Banana Ketchup! Yes! I said Banana Ketchup. It is made of the pulp of bananas, vinegar, garlic, onions, salt and spices. It can be found all over the islands and used on meats, fish and poultry and even fries. You should never leave a Caribbean islands without trying its barbecue meat and seafood. You will be happy you did! StLucianow.com is the official tourism website for St Lucia. We recommend you also check out Northern St Lucia: Marigot Bay and Pigeon Island by travel writer Erika Bisbocci.